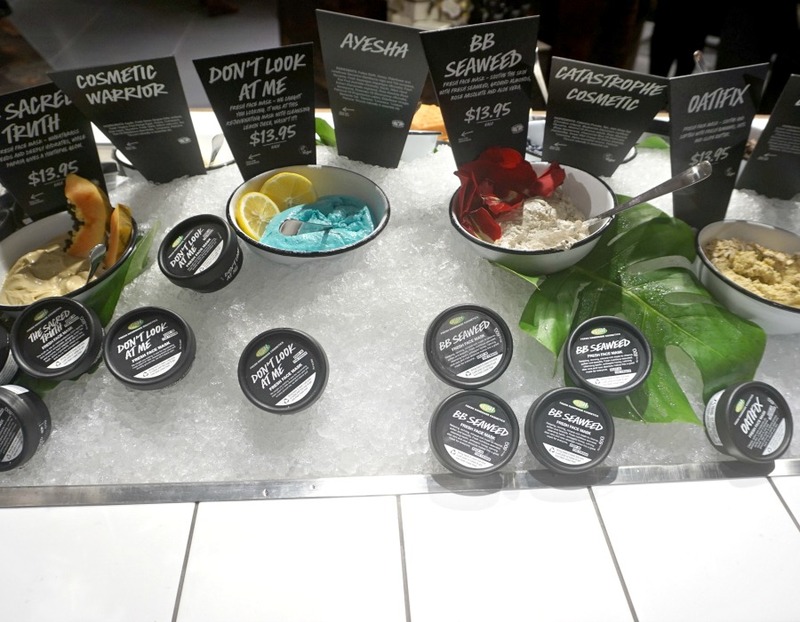 If I was to ask you where the biggest Lush store in Australia was I'm sure that you would reply with Sydney or Melbourne, since they get all of the biggest and best things. But finally a brand knows how awesome Adelaide is and that brand is LUSH!! 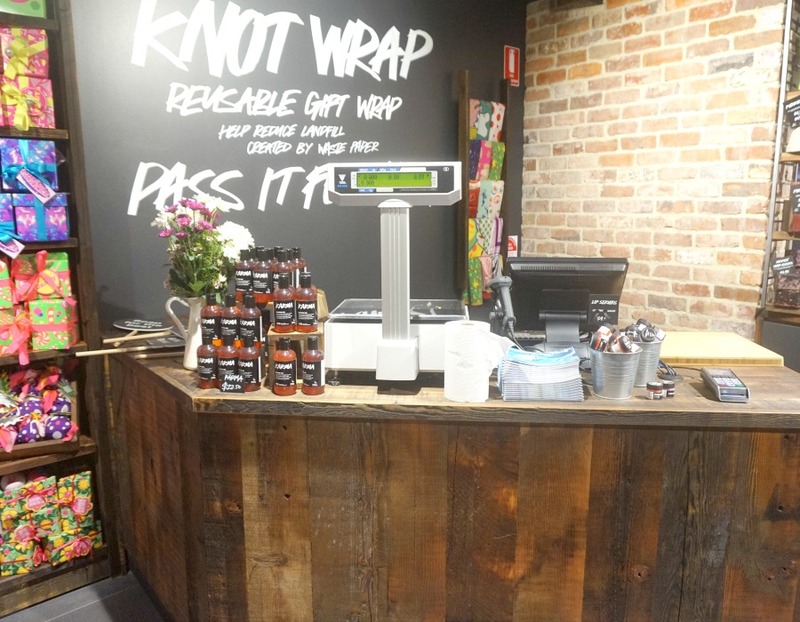 On Friday I went to a preview of the new store in Adelaide that opened this weekend. For those that haven't seen the old Rundle Mall store, it was a shoe box. But now we have the biggest (and the best) store in Australia. What's really great about the store is the fact that it's wheelchair and pram accessible. There's also 2 registers downstairs as well as another register up stairs! Yes... there's 2 levels of Lush. The lower level has all of the bath products. 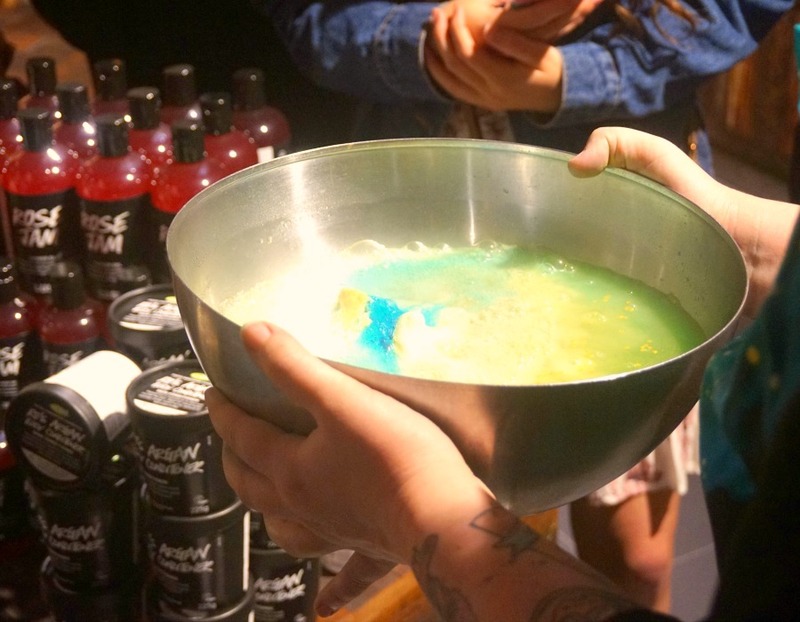 There's an awesome sink set up that has 3 separate sinks to showcase all of the amazing melts, bubble bars and bath bombs. The way they've set the store up means that you're able to have a play with the products. Lush also love to demonstrate their products (especially the bath products) and you'll often find them walking around with a bowl ready for you to sniff their favourite bath bomb. There is also an "aisle of doom" where all of their lipbalms and scrubs are. If you can walk past this while waiting in line without picking up something then you have super hero willpower! Upstairs you walk into the haircare section. It's great to see Lush expanding their haircare range every year as there's not a lot of natural hair ranges that are easy to buy instore. Next up are the body moisturisers, then their skincare. They have a skincare section that houses the fresh skincare masks as well as the cleansers. 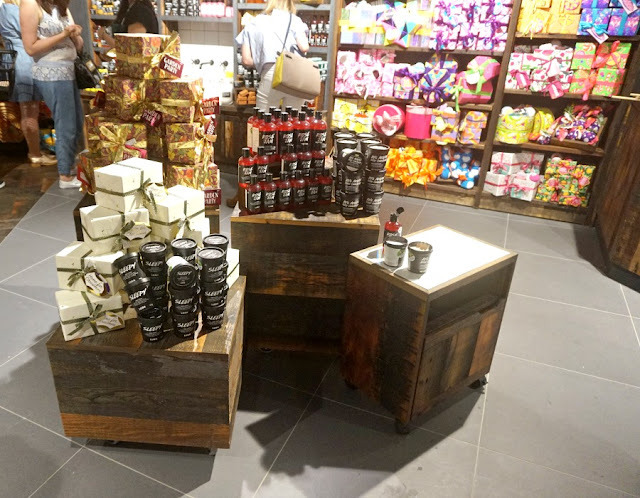 Lush also have toners, moisturisers and exfoliators here. What I loved about this section is that there's a lot of room to sit down, so you can have a demonstration of the different ranges and products. Because they have testers of everything out, it's a great way of being able to try before you buy. They have a cute set up where the make up is. I actually wasn't that familiar with their make up. The way the old store was set up meant that if someone was in that section, they almost blocked you from having a look so I'd find that most of the time I could only see half of the store. So it was lovely getting to have the make up easily accessible so I could have a play with the different colours. Upstairs they also had their soaps, shower gels and gift packs. It was lovely being at the opening because we learnt so much about Lush as a business, about their ethics as well as the manufacturing. 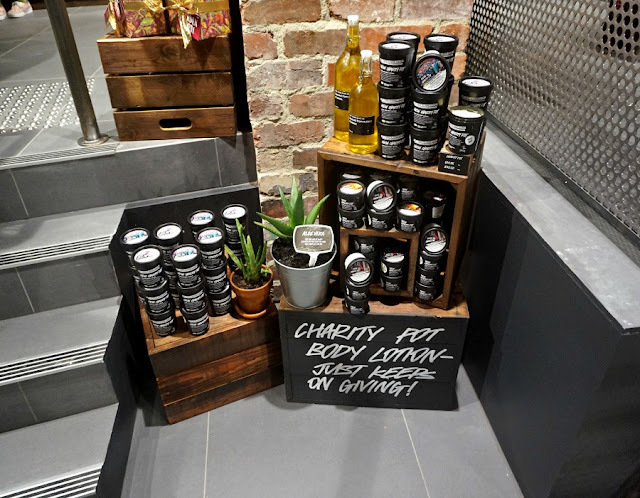 The majority of the products are made in their Sydney manufacturing plant, except for the perfumes and a few other products. 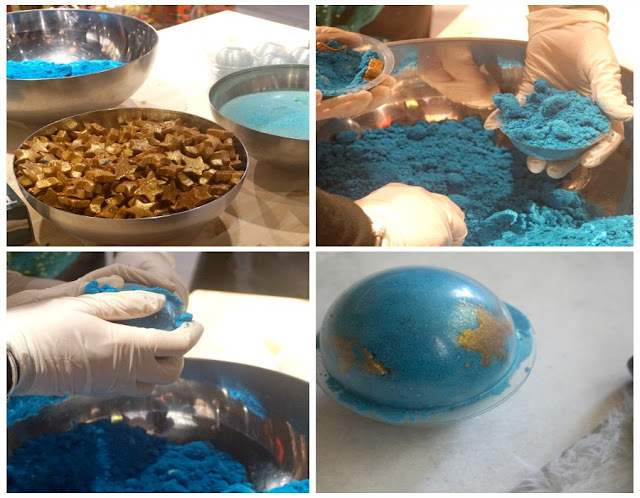 One of the highlights was actually making our own bath bombs! It was really cool seeing how easy yet delicate the process was. While it seemed easy to put the mixture into the mould and smush it together, once you put the stars in you had to make sure that they didn't get moved or hidden. They needed to be in their moulds for 24 hours to set. 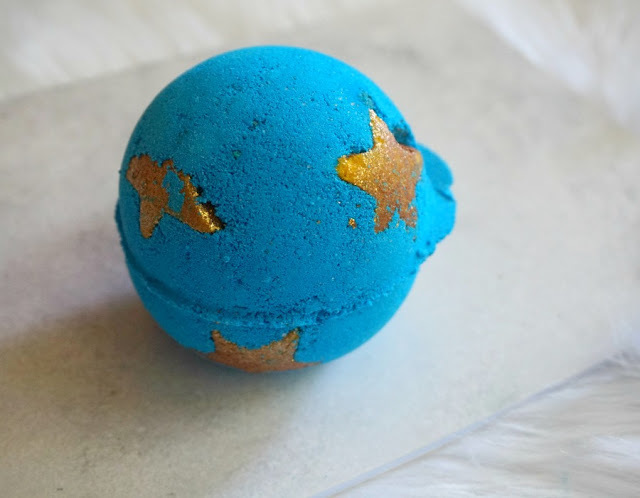 As you can see from my bath bomb, I didn't do the best job of keeping the stars from being covered in the blue powder. I'll now have a much more greater appreciation when I get their handmade products for the work that goes into making them perfect!! 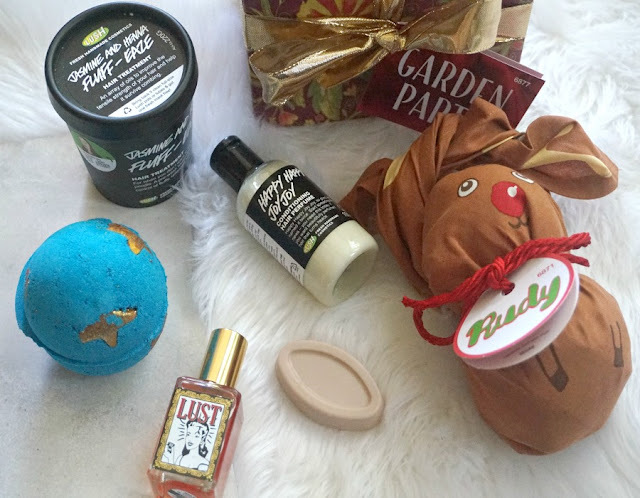 Lush kindly gave us all a gift voucher so I picked up some of the Christmas products as well as spending my own money to get some of their hair products. I'm so in love with their "Lust" perfume! If you love the scent of Jasmine, then you need to pick it up! I'm also really excited to use their solid face serum, "Full Of Grace." I was told to use it under a face mask, which I can't wait to do! If you live in Adelaide or are visiting, then you need to visit the new store in Rundle Mall (it's directly across from their old store). It's incredible!! 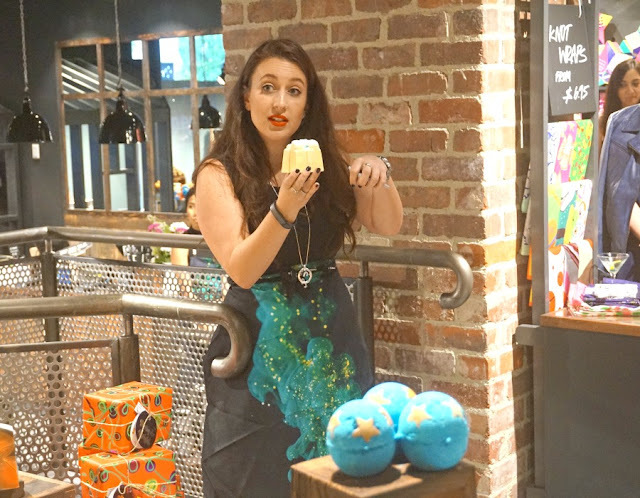 Pastel Sparkles and Almost Posh have some incredible shots of the store and the event so go check them out. *I was kindly given a voucher to put towards my purchase, but I also spent my own money. All thoughts and views are completely my own, and are always 100% honest. See my disclosure policy here.